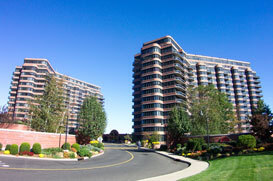 Established in 1895, Cliffside Park is a quiet borough located in Bergen County, New Jersey. This borough sits in between the Lincoln Tunnel and the George Washington Bridge. Back in the days, this humble town was surrounded by woodlands, farms, and other lush environs. These days, however, it remains home to over 23,000 people who manage to create a perfect mix of suburban living and subtle countryside neighbourhood. A lot of business people in New York are residing in this borough due to its accessible location. Its chief thoroughfares include Palisade Avenue, Hudson Palisades, and Anderson Avenue. The borough also offers a generous view of New York City’s gorgeous skyline allowing commuters to indulge in scenic backdrop after a long day at work. Restaurants, stores, and other specialty shops are all dotted around the place giving convenience to Cliffside Park residents.